Home / Nintendo / playstation / reviews / videogames / Puyo Puyo Tetris review: Big Blocks keep falling on my head! 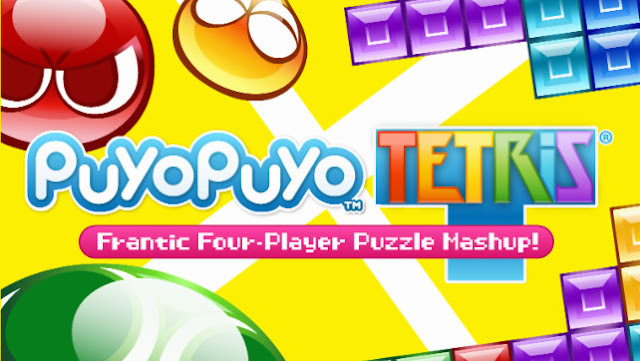 Puyo Puyo Tetris review: Big Blocks keep falling on my head! 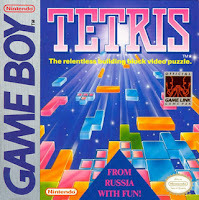 When the original gameboy was released in 1989 it came bundled with a little game called Tetris. This simple little game of falling blocks and incredibly accompanying music delivered eons of fun that transcended generations. It was a fun to play non offensive game for all that started easy and would grow into a real challenge. Over the years many puzzle games still clearly draw inspiration of the big grand daddy of them all. 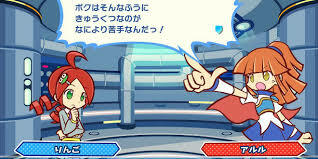 One of those games is Puyo Puyo, a Tile matching video game by Complie (and later SEGA )that sees it's origin in 1991. Designed by Kazunari Yonemitsu, The game was based on the characters of the RPG series Madou Monogatari in order to create a better character narrative in a puzzle game. 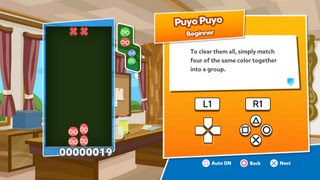 Puyo Puyo was also drawing inspiration from the success of Street Fighter II and focused on competitive play and over the years has established itself as a fine example of great puzzle gaming. So it is great to see that this week we saw the release of a Tetris based game on the Nintendo Switch. 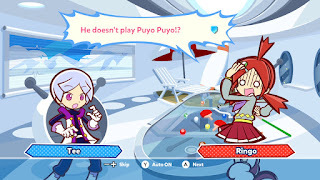 This time in the form of Puyo Puyo Tetris a mix of two classic puzzle game titles that combines many game modes and a story to boot in a complete package. 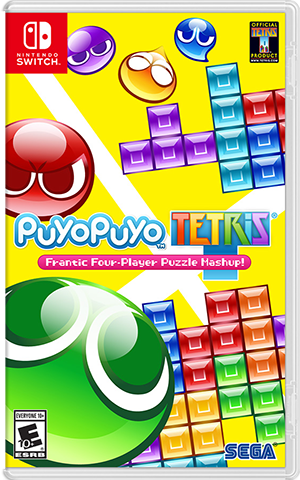 Puyo Puyo Tetris is a tile matching puzzle game that combines two well established gameplay styles, as established by its title. The game offers up various ways to play the games in various challenges, versus modes and even a story line. You can play solo against a CPU/COM player or versus against local players or online. You will find that the game is loaded with features that will keep you occupied for a long time. PPT offers, Solo Arcade , Multi Arcade and aStory mode. gameplay moves. The pick-up and play factors is high as it is a prime example of easy to learn and hard to master with just the right amount of addictiveness to it that can keep you playing for a long time. With the option to play with up to four players it can be a hit anytime and thanks to the portability of the switch also a anywhere. challenge must the passed to move further with the story. Divided over seven chapters, each with 10 stages there is a large amount of content and a cute story to follow. that contain different modes from time limits , endless drops and marathon runs. Play either Puyo Puyo or just Tetris( 1-4 players). Both games bring game pieces tot he same board combining the puzzle challenge. You have a certain time to line up your pieces. 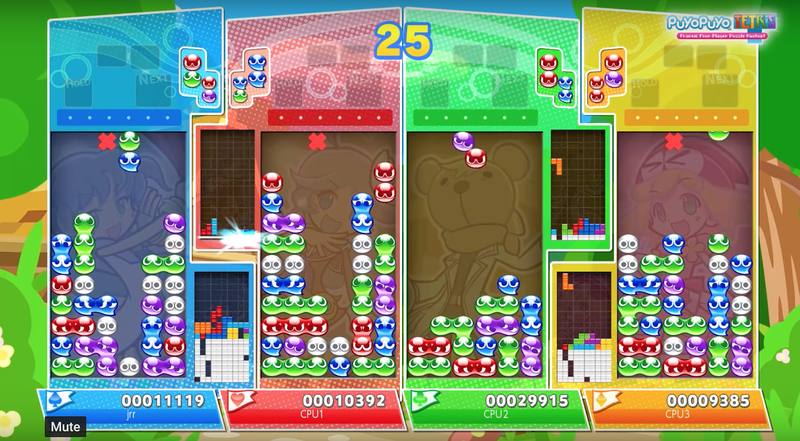 When the timer runs out you tetris pieces and your Puyo Puyo pieces will switch places. Timing is key to create big combo chains. This modes include the use of powers ( items) that can interfere with your opponents game and stops them from winning. Expect to see a lot of lead changes in this mode a well as last minute surprise turning of the tables followed by screams of unbelief. Going for the big section clearing in the game, and requires wit and patience. There are two similar options for each game version. Puyo Puyo Fever and Tetris Lucky Attack, both for which you try to fill in the perfect missing piece to clear massive amounts of the play field. And then there is the online component offering puzzle league. Compete against other players across the world and try to reach the top spot in the rankings. A cool feature is that rankings are separated by region so you can be come a local champion and be the big hotshot in your neighborhood. Don't know how to play? PPT has you covered. 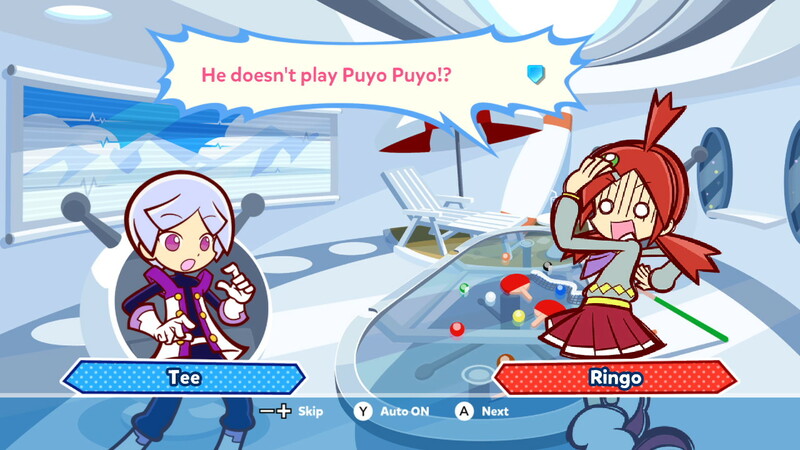 Puyo Puyo Tetris is not a graphically intense game, but its art style, colorful design and fun characters make it a pleasant game to look at either in handheld mode or on the big screen. The bright colors pop, clear menus and game screens let you easily navigate as well as see what is happening on screen. Accompanied with some overly happy and sometimes a little repetitive music you often play with a smile, that is until things get tense and now you are just biting your lip while trying to beat the level. welcome as it can be a great fallback to try and understand how to play better. The story missions are light at heart that do contain some some conflict but this gets solved through the puzzle games and should be appropriate for most if not all ages. ( Note : ESRB rating is E10+) The game does have an online components and parents of younger kids especially should monitor /control access accordingly. Played the game Japanese before the US release, I don't know Japanese, Story mode was still fun . With the release of Puyo Puyo Tetris, Nintendo and its fans enjoy another classic game on their system that should offer hours and hours of content. It is an easy game to play in a short burst waiting on the bus or long sessions in the evening. The deployability is high due to it's many challenges and options the game delivers out of the box. Being able to have up to four players local, provided you have enough controllers off course, fits in very well with the direction where Nintendo seems to want to go with the switch with is a large face to face social activity. The price is for the game is set at $39.99 which is a bit steep for a puzzle game, but there are deals out there that can save you a few bucks ( best buy gamers club, Amazon prime etc.) But even at the full price you get enough content to soften the blow of the initial buy in. The game is the perfect compliment to the Nintendo switch and is a recommended buy.